There is no doubt that Croatia is a beautiful destination, packed with an interesting history and culture waiting to be explored. Luckily, it’s not too difficult to pack light for a trip to Croatia. I managed to pack for a month of backpacking through Croatia in my trusty 48L REI carry-on backpack. I made a lot of stops during the journey through Croatia but a few of my favorite Croatian cities were Split, Zagreb, Šibenik, and Dubrovnik. 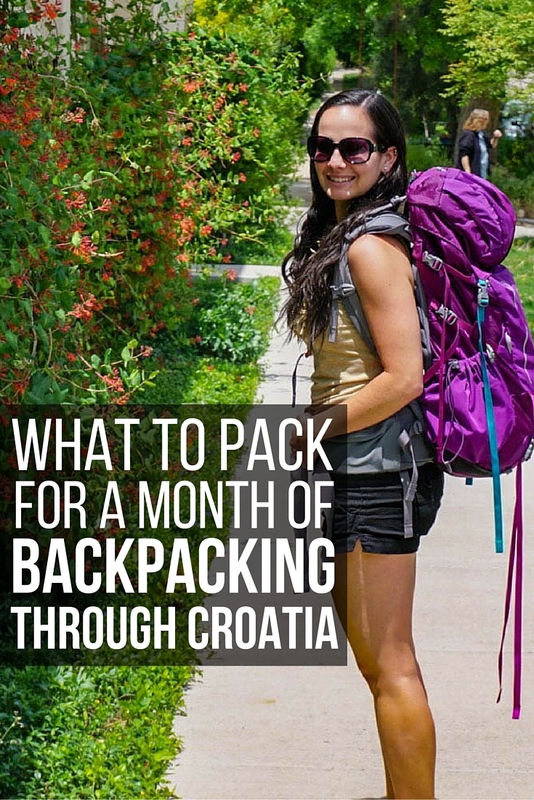 To help you pack accordingly for your trip, I put together the ultimate guide on what to pack for a month of backpacking through Croatia based on what I packed when I visited Croatia last summer. This is definitely a female version because it’s what I personally packed, but guys feel free to use this as a basis for your packing as well! 7 pairs of underwear — The comfortable and quick-drying Give-n-go low rise ExOfficio underwear are my favorite for travel! Shampoo/Conditioner – Buy reusable travel size containers to fill up instead of buying new ones every time you use them up. Neutrogena sunscreen stick – Since I was traveling in a carry on, I wanted to avoid liquids whenever possible. This sunscreen stick did the trick! Travel laundry detergent (I just filled up 3oz travel tube at home), or you can bring along a Scrubba Wash Bag to easily wash your clothes on the go. Dramamine, or other motion sickness medicine – I like the Dramamine less drowsy formula for short flights, bumpy car rides, or boat rides where I want to stay awake. For longer flights I use the original formula that doubles as a sleeping pill for me as it puts me right to sleep. Aroamas – If you want to keep yourself smelling great without lugging around perfume bottles, these solid perfume sticks are exactly what you need! Vitamin C – An immune system boost will be a must after being on the road for so long. Ipanema Maya sandals – These are my favorite summer travel shoes of all time. They are entirely synthetic rubber so they are comfortable to wear to the beach, walking around all day, or for a dressier evening out. Phone battery case – I have this charging case for my iPhone, and it’s a lifesaver when you’re out and about exploring all day. It gives my phone nearly two additional charges! Plug Adapter – I like this one in particular because it has two USB ports on the side and it can be used in plugs from over 150 countries around the world. TSA cable lock – Deter theft and help keep your items secure with a TSA approved lock. I like this one in particular because of the flexible cable that allows you to maneuver the lock to fit where you need it to. Turkish towel – The perfect towel for backpacking! Great for showers and the beach, lightweight, and easily rolls up to fit in your backpack. Refillable water bottle – In most places you can easily find public water fountains, so having your own water bottle to refill will cool you off from the heat and save you some money. Travel clothes line – Between doing laundry and hanging up wet swimsuits, a clothes line will come in handy more often than you might think! 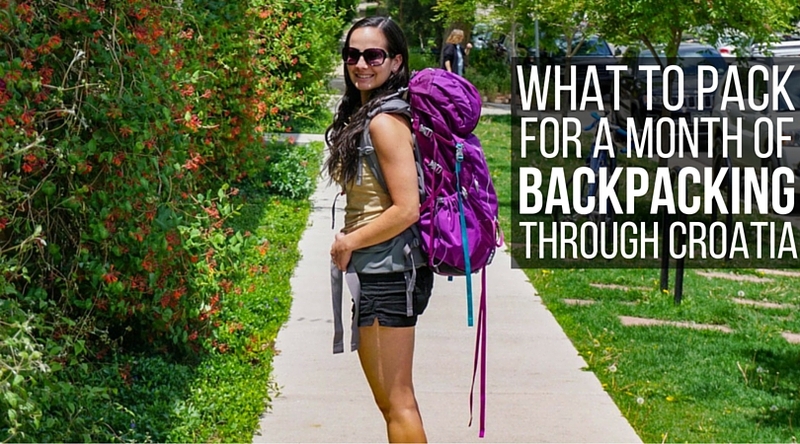 Compression sack – This is a must to make use of all the space in your backpack. I’d recommend getting two mediums, or a small and a medium. The 20L large fits a lot of clothes, but it can be a pain to dig through it if you need something at the bottom. BONUS: Sign up for Airbnb and new users will receive $40 off your first stay! Remember to leave some space to take home souvenirs! Starting off the trip with an already overstuffed bag is never a good idea. Think about the blue waters of the Adriatic Sea glistening in the warm sunshine while you’re packing and it will be time for backpacking Croatia before you know it! Have you been backpacking in Croatia? 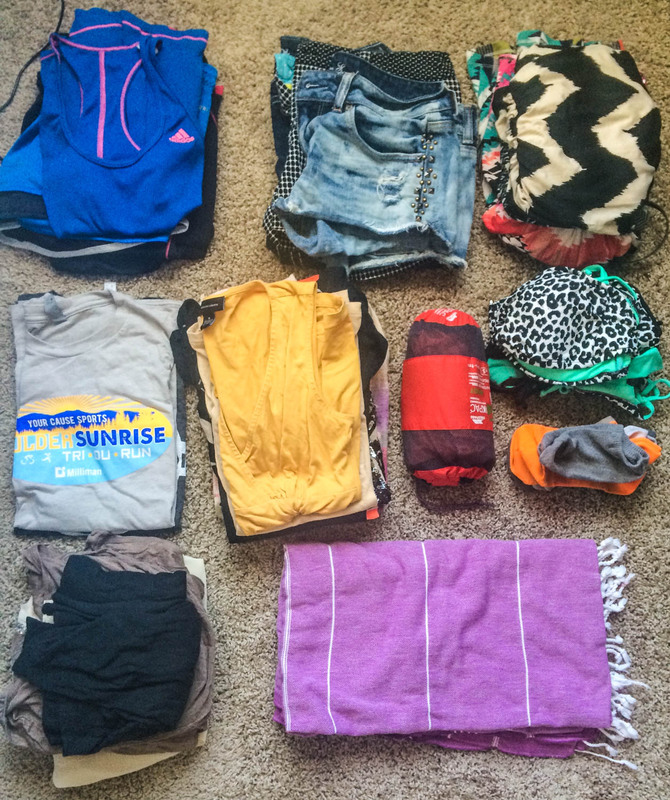 What packing recommendations would you add? Please note that some of the links on this page are affiliate links, and at no additional cost to you, I earn a small commission that will help support this site if you make a purchase. All opinions are my own. If you have any questions about the companies or products mentioned on this page, please reach out to me and I will happily answer them. Hi Marissa, thats a fantastic packing list. I usually take my portable hard drive just in case anything goes wrong with my laptop and a windows restore usb drive too. Marissa’s love for travel was sparked when she studied abroad, an experience that inspired her to launch her travel blog, Little Things Travel, a travel guide to the world while ultimately appreciating the little things in life. 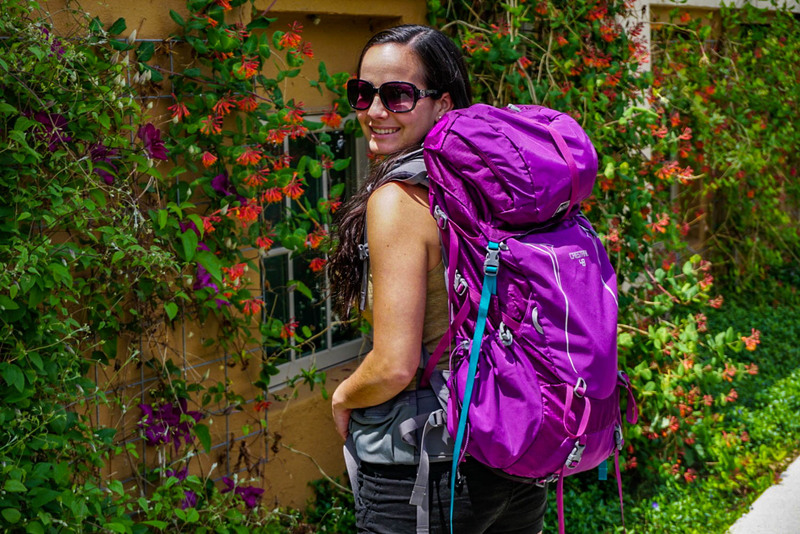 She aims to show that travel can be a driver of positive change in big and little ways. When she's not traveling, you can find Marissa at her home base of Chicago.